Blog SeaChange in the Neighborhood! My latest happy commercial real estate clients, SeaChange Public Relations join the Elliotborough-Cannonborough Commercial Corridor, where visionaries find a home. The downtown Charleston Sc location was something they spent months seeking out. They enjoy the vibrant and convenient location near the corner of Cannon St. and President and look forward to participating in the continuing success of the burgeoning commercial corridor. Jon and Caleb Yarian are the managing partners of SeaChange Public Relations. Jon founded SeaChange in late 2008 in Charleston after working for five years in DC – first as a Congressional press secretary and then for a boutique PR firm. 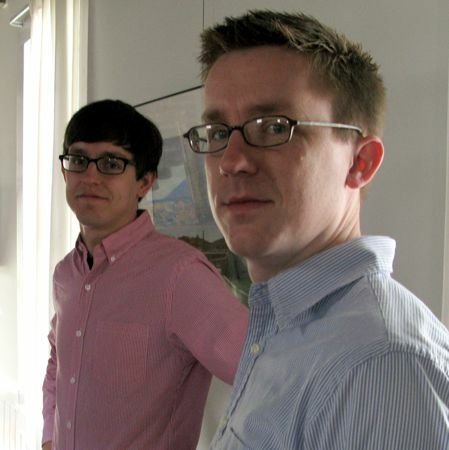 Caleb left his legal practice in New York City to join Jon at SeaChange in late 2009. SeaChange is a full-service media relations and strategic communications firm that specializes in earned media placement and maintains a diverse roster of clients, from start-ups to international corporations. To find out more about what this team can do for you and your business visit them on the web www.seachangepublicrelations.com or catch Jon Friday at the next Charleston Digital Corridor event where he will be guest speaker click here for info on that.